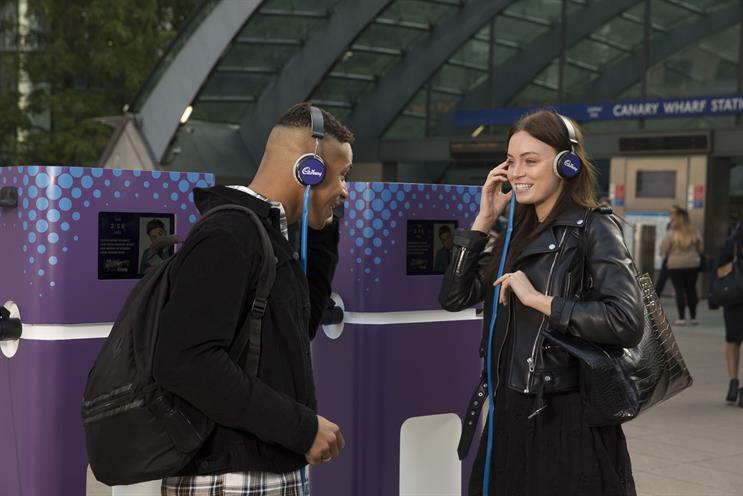 Cadbury, the Mondelez International brand, has created a "human charging point" at Canary Wharf as it hands out its Boost bars for one minute only. The brand is giving out the bars at 2.58pm on 6 and 7 September to help Londoners beat the "afternoon lull". The activation will have headphones to give guests the chance to take a minute out of their day and be "supercharged with wisdom" from Capital FM’s Roman Kemp. The campaign has been created by VCCP. Richard Weisinger, senior brand manager at Mondelez International, said: "Most of us experience the afternoon lull, which is the time of the day we could do with a boost the most. "We know people want to feel re-energised – physically or emotionally – so we wanted to do something to help them take on the rest of their day. We’re looking forward to seeing Londoners come down for some much needed Boost-time, and to try our new Boost + Protein."